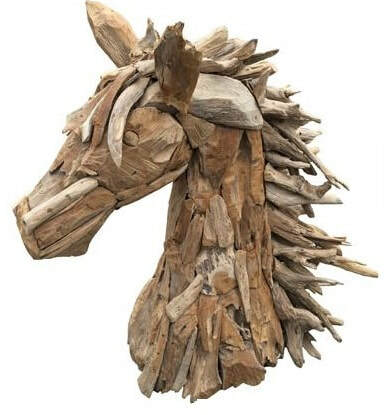 The driftwood horse website product range consists of our exceptional life-size horse, decorative horse heads and other beautiful driftwood animals and furniture, with a stunning visual appeal. 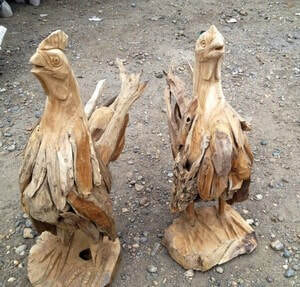 These attractive items are made from teak tree roots, a hardwood characterised by its rich oil content and resistance to the weather elements, rot and diseases. 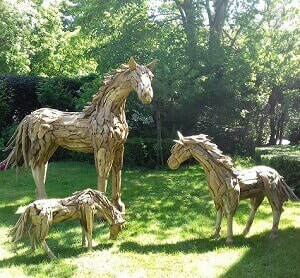 The teak wood used for our stunning horse and the rest of the driftwood range, has been ecologically sourced from trees grown and harvested in Indonesia and transformed into magnificent pieces of art by local Indonesian artisans. 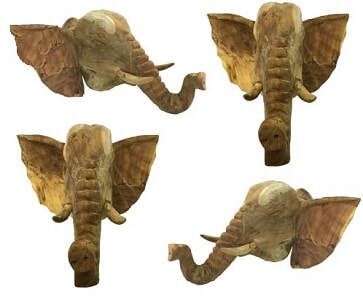 Every single product has been individually hand-crafted to make it unique, so please note that pictures are for illustration purposes only and that each item will have its own particular look. 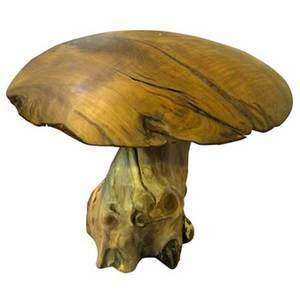 Very little care is needed to protect our driftwood products, but they will all benefit from being annually treated with teak oil to preserve the beauty and original colour of their wood, if exposed to the outdoors. 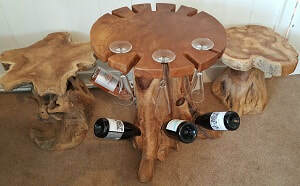 Drifwood wine table rack and driftwood stools. 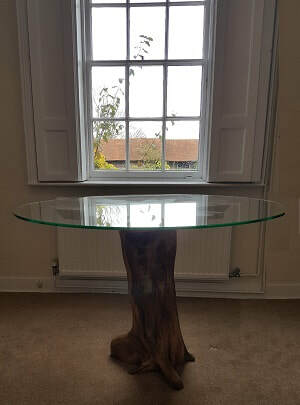 Call us now on ​0845 3731 832 for more information. 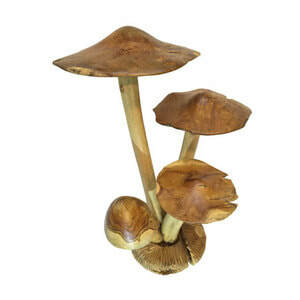 Fresh Group and its subsidiary companies are Trading Standards approved. 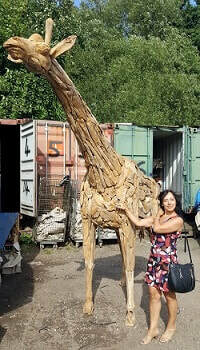 This means that we have been vetted and approved and are continually monitored by Trading Standards to ensure that we operate in a legal, honest and fair way and to ensure you will receive a quality service and to maintain the integrity of the scheme. 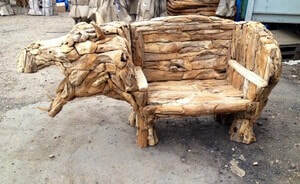 Buy With Confidence is a national register of Trading Standards. 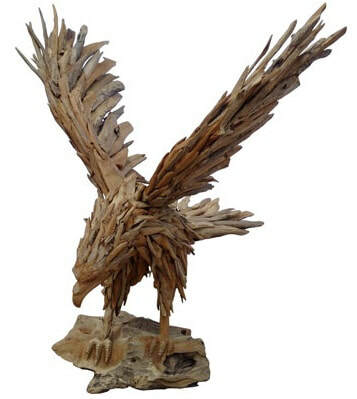 Approved businesses run independently by local authority trading standards departments. 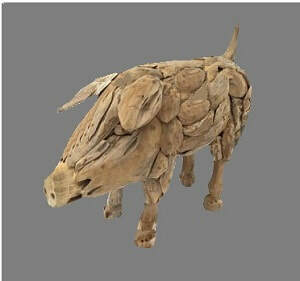 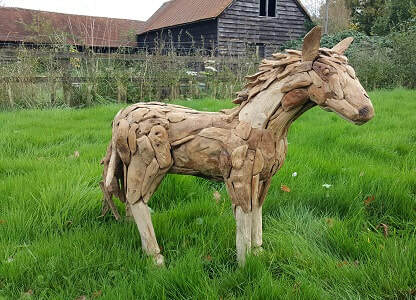 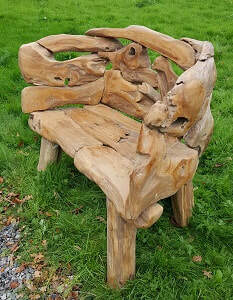 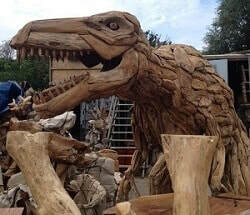 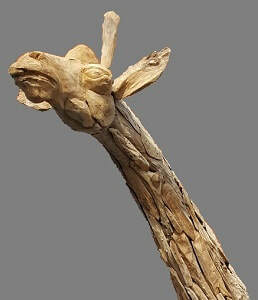 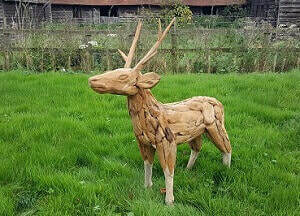 Fresh Group has launched a new website dedicated to our beautiful driftwood horse and other driftwood animals and furniture designed to enhance your home and garden. 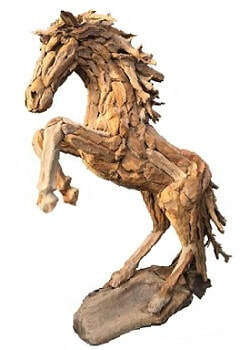 These driftwood horse sculptures and driftwood furniture items are imported from Indonesia and have been hand-crafted individually from teak tree roots, which have a high oil content, making them suitable for indoors as well as the outdoors. 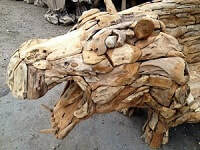 Stunning and unique, our driftwood horse and driftwood horse heads are incredible.The driftwood horse and other sculptures as well as our driftwood furniture have a distinctive look that makes them complement each other. 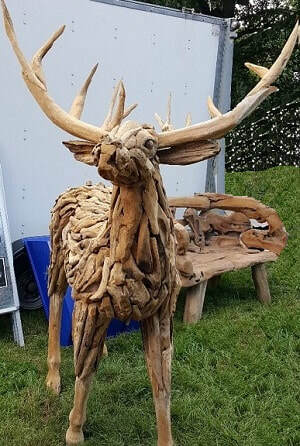 The life-size driftwood horse and the driftwood horse heads are very popular and so are the other driftwood sculptures from the range, like the driftwood stag, reindeer, elephant, chickens, dinosaur, giraffe, dog, ducks, hippo, gorilla, pig, dinosaur and eagle. 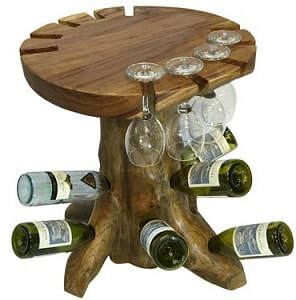 The driftwood furniture is very elegant and our driftwood table, stool, bench, wine racks and wooden mushrooms have a magical appeal. 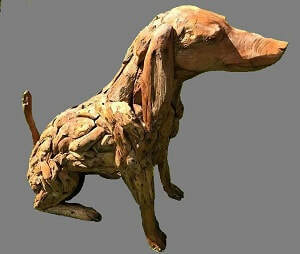 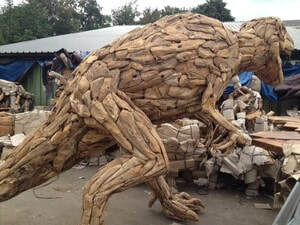 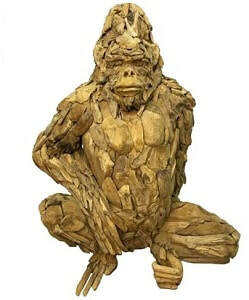 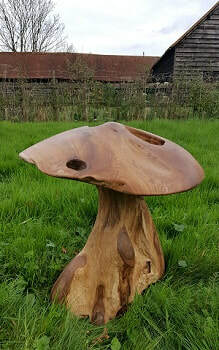 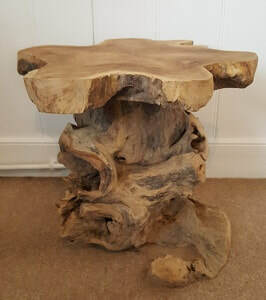 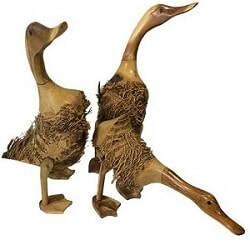 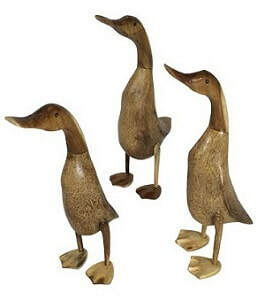 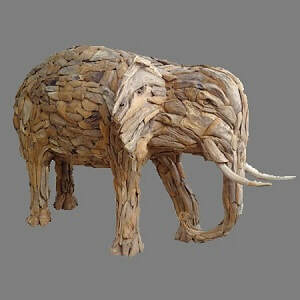 All our driftwood sculptures and driftwood furniture items are made from teak tree roots and Indonesian hardwood, making them life lasting as well as beautiful.